Rubber-to-Rubber Mold Release is required when making 2 part RTV molds because it keeps mold halves from sticking together. 2 fl. oz. 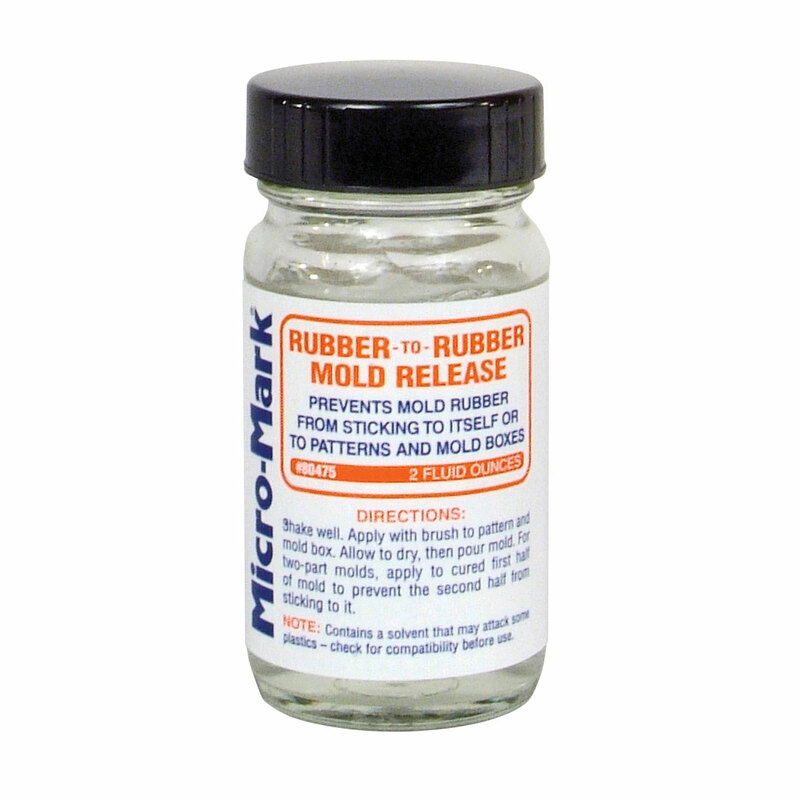 Rubber-to-Resin Mold Release, 12 oz.